Foundations® glazes are certified AP non-toxic and food safe. 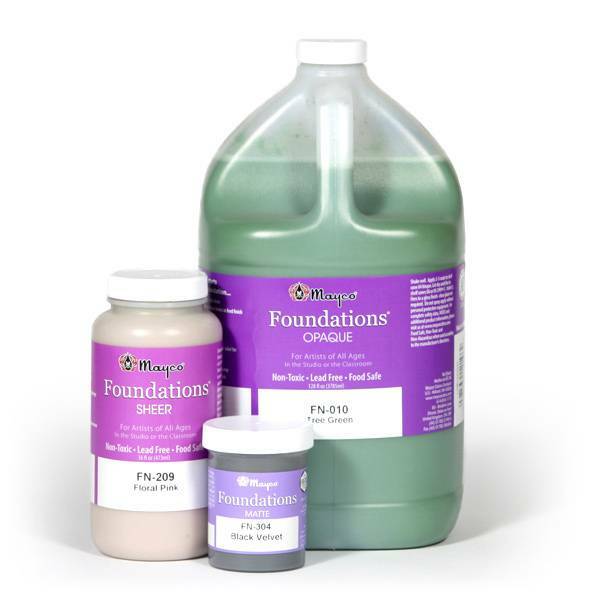 Foundations® glazes are available in a broad assortment of colors, opacities and textures. They easily serve as the basic "foundation" glaze for any ceramic studio - be that in a school, home or your retail studio. General Use Foundations® gloss glazes were designed to mature at shelf cone 06/05. Apply 2-3 coats, allowing surface to dry in-between coats. When applying to a large surface, we recommend a broad, soft brush such as CB-604 #4 Soft Fan.